Ivanka Trump used her personal email account to send "hundreds" of emails last year to White House aides, assistants and Cabinet officials, according to the Washington Post, citing "people familiar with a White House examination of her correspondence." Of that, however, she discussed government policies "less than 100 times" - and none of the content was classified. The breach in protocol was discovered after a review last fall after five Cabinet agencies were forced to respond to a public records lawsuit. That review revealed that throughout much of 2017, she often discussed or relayed official White House business using a private email account with a domain that she shares with her husband, Jared Kushner. And while the Post is quick to compare Ivanka's personal email use to Hillary Clinton's, her attorney's spokesman, Peter Mirijanian, said that none of the emails contained classified information. The Post ads that some aides were "startled by the volume" of Ivanka Trump's personal emails, and "taken aback by her response" that she was not familiar with the rules. "While transitioning into government, after she was given an official account but until the White House provided her the same guidance they had given others who started before she did, Ms. Trump sometimes used her personal account, almost always for logistics and scheduling concerning her family," said Mirijanian, who said that Ivanka turned over all of her government-related emails several months ago for permanent storage among other White House records. He also stressed that Ivanka's use of personal email was different from Clinton's - which were stored on a private email server in the basement of her Chappaqua, NY home, and thousands of which were deleted amid a criminal investigation. "Ms. Trump did not create a private server in her house or office, no classified information was ever included, the account was never transferred at Trump Organization, and no emails were ever deleted," said Mirijanian. Clinton also relied solely on a private email system while secretary of state, bypassing government servers entirely. In December, 2016, Ivanka and her husband, Jared Kushner, set up personal email accounts under the domain "ijkfamily.com" via a Microsoft system, according to the Post's sources. Outside of the "less than 100" discussions, hundreds of messages related to her travel details and official works schedule that she sent herself and nannies for her children were also included in the discovery. According to the Post, those close to Ivanka say she never intended to use her private email to "shroud her government work," and it was discovered that "Ivanka had not received White House updates and reminders to all staff about prohibited use of private email." 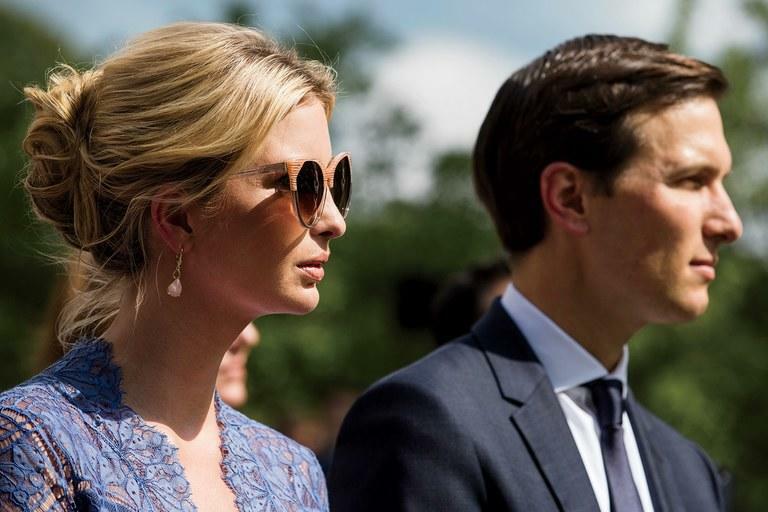 The Post spends the rest of the article trying to compare Ivanka's personal email use to that of Hillary Clinton, and notes that Jared Kushner "drew intense scrutiny" when his own use of personal email for government work came to light. The revelation prompted demands from congressional investigators that Kushner preserve his records, which his attorney said he had. But Trump had used her personal email for official business far more frequently, according to people familiar with the administration’s review — a fact that remained a closely held secret inside the White House. Following the discovery of the extent of Ivanka's personal email use in September 2017, White House lawyers relied on her attorney, Abbe Lowell, to keep an eye on her and review personal emails in order to determine which were personal and which were official business, according to the Post's sources. In many cases, meanwhile, government officials contacted Ivanka Trump first using her personal email address - such as an April 2017 note she received from Treasury official Dan Kowalski, who wanted to set up a meeting between President Trump and the secretary general of the Organization for Economic Cooperation and Development. "I apologize for reaching out to you on your personal email for this, but it is the only email I have for you," he wrote. "For future reference my WH email is [redacted]," Ivanka replied. "Thanks for reaching out and making this introduction."